The field of enterprise modeling seeks to help make organizational decisions that take place under conditions of complexity, ambiguity, and conflicting views. But available concepts to describe decision situations are still in their infancy. A variety of existing model-based approaches to aid decision making have been developed in adjacent research fields. The paper investigates a selection of these approaches and reconstructs central concepts in the form of meta models. 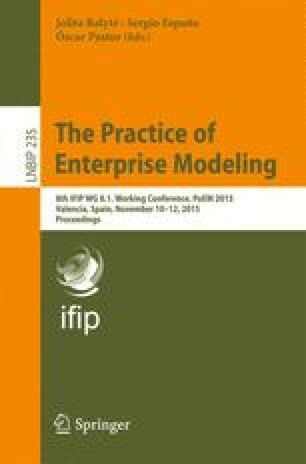 Implications and ways of integrating decision concepts with existing enterprise modeling methods are considered, and possible avenues for the field of enterprise modeling are discussed.